The objective of the SPACE experiment is to observe the collisional behaviour of sub-mm-sized particles and aggregates at low velocities in micro-gravity. The information gathered during this experiment is expected to deliver key knowledge to the understanding of the initial process of planet formation. In fact, the precursors of planets, the so-called planetesimals, originate from porous dust aggregates gathering in a young Solar System. Thanks to several laboratory and drop tower experiments, the collisional growth of these aggregates has been quite well understood for small particles (1 to 10 µm) at low velocities(0.1 to 1 cm/s), small particles (1 to 10 µm) at higher velocities (10 to 104 cm/s) and bigger particles (1 to 5 mm) at higher velocities (10 to 104 cm/s). These experiments show that at lower velocities, collisions between particles lead to sticking and hence the mass increases, but that at higher velocities bouncing and even fragmentation prevent further particle growth. 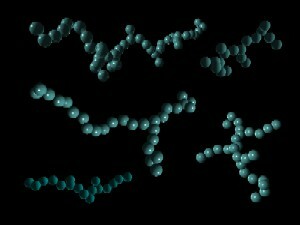 This transition between sticking and bouncing has been observed for μm-sized particles but not yet for bigger, sub-mm-sized aggregates. By reproducing as much as possible the conditions present in the circumstellar disc of the young Solar System, the SPACE experiment will allow sub-mm-sized dust particles collisions at lower velocities, delivering information on the sticking-bouncing transition in the collisional behaviour and therefore filling a gap in the current mapping of dust particles collisions. The SPACE experiment will be augmented by another suborbital flight experiment (MEDEA), which will be launched in 2011 and which will concentrate on larger, mm-sized dust aggregates. Another open question on the early stages of planet formation is the growth of dust aggregates to sizes bigger than the millimetre scale, once the sticking-bouncing transition has been passed. Thanks to the laboratory experiments mentioned above, the growth process has been quite well understood for small particles until they reach the sub-mm-size. From the decimetre size on until actual planets are formed, the growth processes are also quite well known, which leaves a gap between the sub-millimetre and the decimetre size aggregates for gaining a full understanding of the formation processes of planets. The SPACE experiment might deliver some clues to fill this knowledge gap: although we expect to reach the transition from sticking to bouncing, the density of the particles in the experiment container might lead to group effects and clustering, unobserved yet. The last objective of the SPACE experiment is to compare the influence of different parameters on the collisional behaviour of the studied dust particles. Thanks to various particle containers, the effect of the particle initial size, their concentration and mean velocity on the aggregates growth behaviour can be observed.